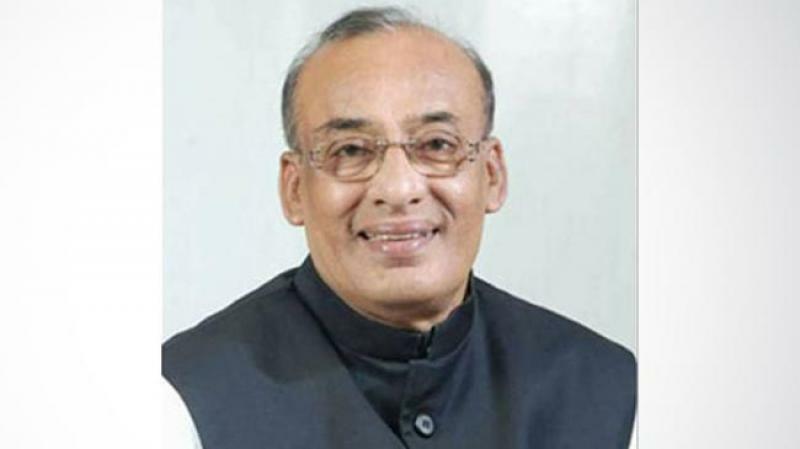 SM Mostafa Rashidi Suja, a member of parliament from Khulna-4 constituency and general secretary of Khulna district unit of Bangladesh Awami League, died last night at Mount Elizabeth Hospital in Singapore at the age 68. Family and party sources said lawmaker Suja had been suffering from kidney ailment from a long time. A kidney was transplanted in his body on Nov 13, 2017, at the same hospital as his two kidneys were damaged. Suja left behind wife, one son, two daughters and a host of relatives and well-wishers to mourn his death. His son Khaledi Rashidi Sukorno left Dhaka this morning for Singapore to bring the body of his father. Suja was elected thrice as an Awami League MP from the constituency in 1991, 1996 and 2014. Meanwhile, Fisheries and Live Stock Minister Narayan Chandra Chanda, Prime Minister’s Finance Advisor Dr. Moshiur Rahman, parliament members Sheikh Helal Uddin, Begum Monnujan Sufian, Mizanur Rahman Mizan, Panchanan Biswas, Nurul Haque, Dr. Mozammel Hossain, Sowkat Ali Badsha and KCC Mayor Talukder Abdul Khaleque expressed deep shock at the death of Suja.